SACRAMENTO, Calif. -- California women will have more tools to fight pay discrimination, more resources to buy diapers and pay for childcare, and more opportunities for parental leave under bills signed Thursday by Gov. Jerry Brown. 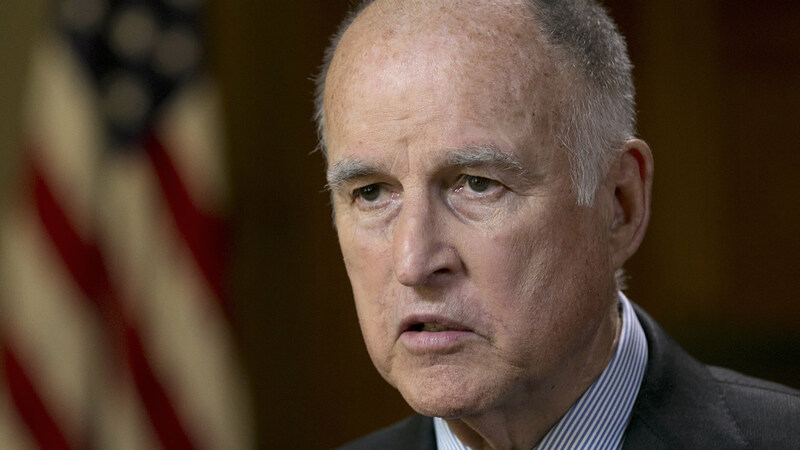 "California is not just about Silicon Valley, it's not just about agriculture, it's not just about Hollywood - it's about families and kids," Brown said before signing the bills outside a Sacramento center that provides resources for homeless women. The 26-member legislative Women's Caucus championed the nine bills aimed at improving the lives of California women and families, with several focusing on victims of domestic violence. They are broad in scope, aimed at helping women in the workplace and at home. "California is once again leading the way when it comes to helping women who need it the most," said Assemblywoman Lorena Gonzales Fletcher of San Diego. Several other bills focus on health and wellness. Among them is a requirement that public schools with high populations of low-income students provide free tampons and menstrual products in women's and girl's restrooms. Assemblywoman Cristina Garcia, chair of the Women's Caucus, has dubbed herself the "tampon queen" in her fight for the bill. "I've heard from young girls across the state who miss school on a regular basis because they can't afford these products," Garcia said. -Make obtaining sexual images or sexual acts through extortion a crime, sometimes called "sextortion"